A large portion of the cost of a document scanning project is the manual work required to prepare the documents. Every document must be oriented correctly and any lose material secured or moved to another page. In addition the document is indexed so it is easily found going forward. Indexing can be automated with data capture software when there are standard document fields that can be identified. The problem is more difficult when documents are not in a standard format. Now a person needs to intercede and provide the context for the document. The problem of document preparation is magnified when dealing with historical documents. They must be handled with more care as they are likely to be brittle and easily damaged. In the past this has been done by trained employees with cotton gloves and an eye for detail. Can Robots Help the Scanning World? Project Gado is looking to take the people out of document scanning. 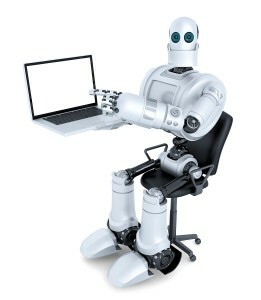 The company is designing a robot to handle the document preparation. The Baltimore start up is signed up to digitize the 1.5 million photo archive of the Baltimore Afro-American newspaper. So far they have digitized 120,000 photos. The company is hoping to help institutions and museums digitize their paper archives. The cost of the material for the robot is only $500. When the cost of labor is reduced, a scanning project is in the budgets of more organizations. The is a licensing cost to use the robot that may keep some of the smaller institutions. The second part of the Gado Project that is interesting is an agreement with Getty Images to license the pictures that are captured using the robot. It is unclear who will receive the payment for use of these images when purchased through Getty Images. This is likely where the company is planning to make the bulk of their money. While the widespread use of robots for scanning has not yet been accomplished, the use of a scanning service can be extremely helpful. Document scanning service providers usually provide additional services too, such as records storage and document management system solutions. Call us today at (866) 385-3706 or fill out the form on the right for free quotes on your next organizational project.